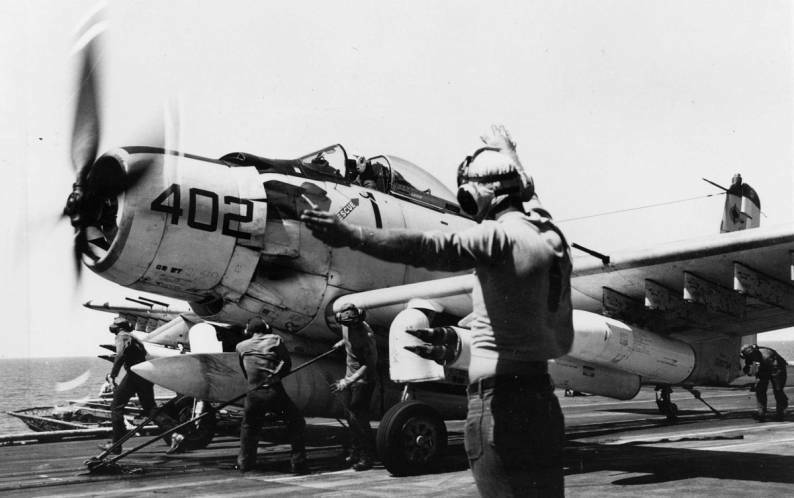 10 Sep-2 Oct 1943: The squadron was embarked in Bunker Hill (CV 17), enroute from Norfolk to Pearl Harbor via the Panama Canal and San Diego. 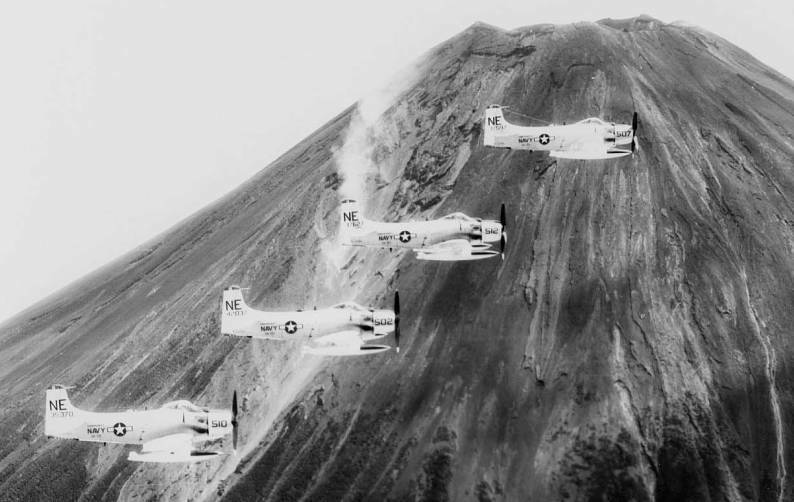 11 Nov 1943: The squadron flew its first combat sorties, striking targets in Rabaul. 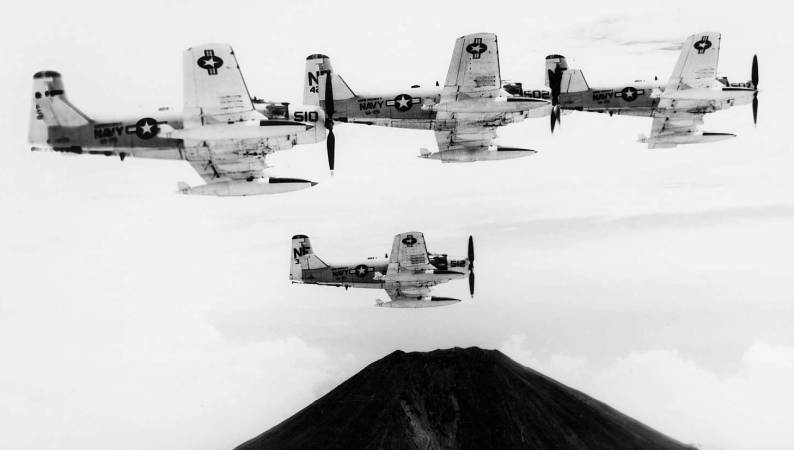 Nov 1943-Feb 1944: The squadron flew numerous combat missions, striking targets in Kavieng, Kwajalein, Eniwetok, Truk and Tinian. 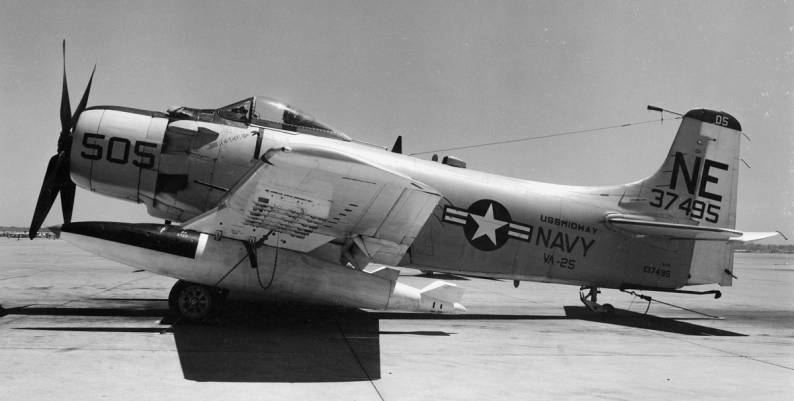 2 Feb 1944: During operations over Eniwetok, the squadron’s commanding officer, Lieutenant Commander F. M. Whitaker, was lost in a midair collision. 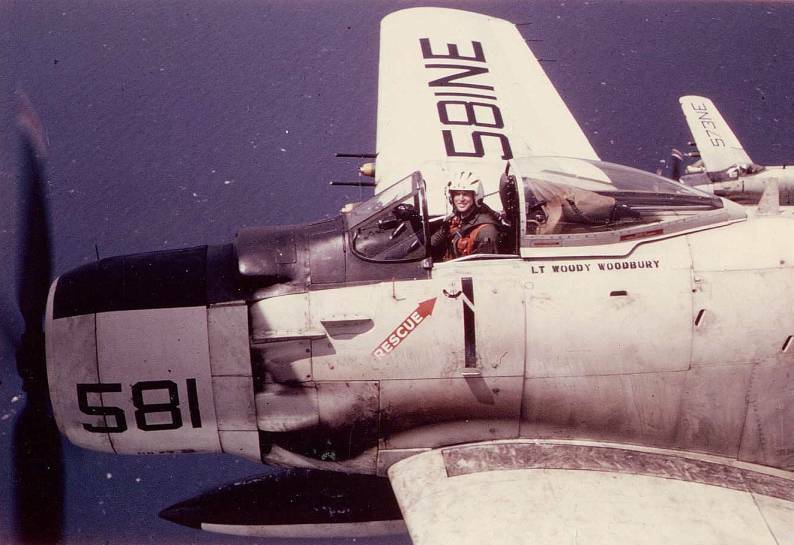 Feb 1945: The squadron flew numerous combat missions against targets in Japan and the Bonin Islands and provided ground support for the invasion of Iwo Jima. 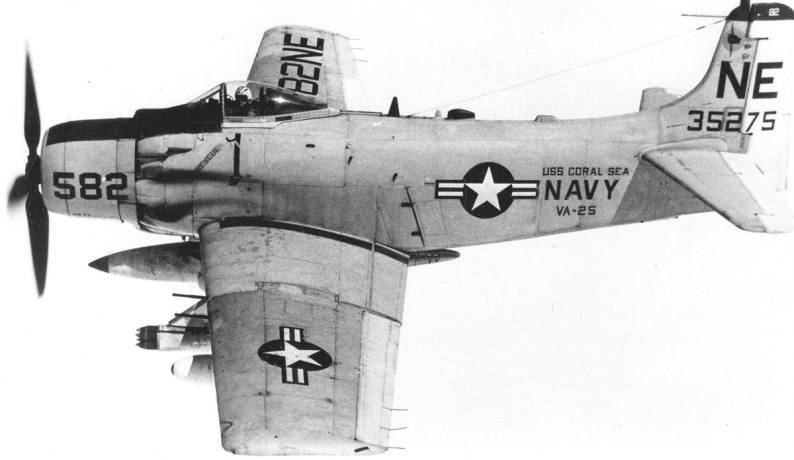 19 Mar 1945: For their actions against the Japanese Fleet in the Kure Bay area of the Inland Sea, the following squadron personnel were awarded the Navy Cross: Lieutenant Commander W. M. Romberger; Lieutenant H. E. Clark; Lieutenant (jg)s T. J. Coghlan, H. W. Foote, H. C. Johnson, A. C. Traxler and Ensign J. Behl. 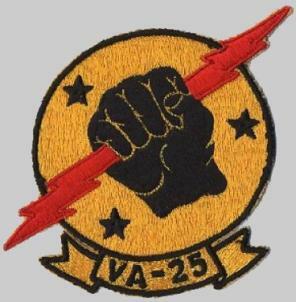 Lieutenant J. 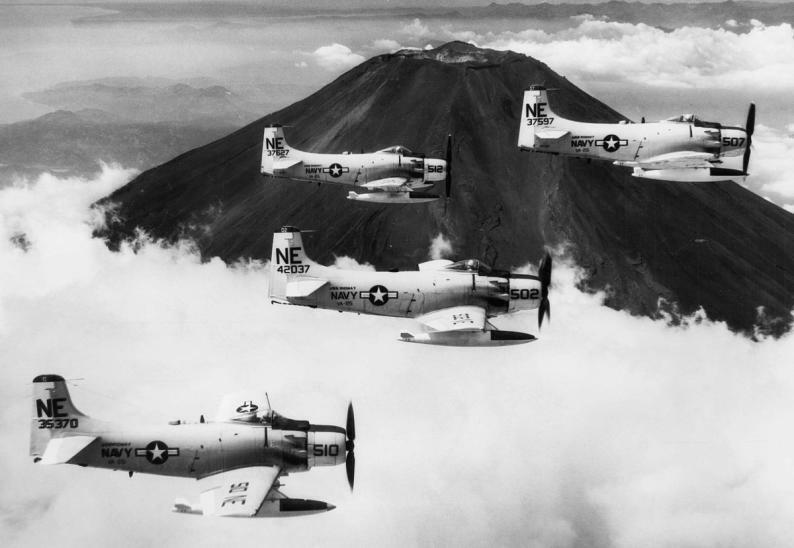 A. Tew was awarded the Silver Star for his actions during this attack. 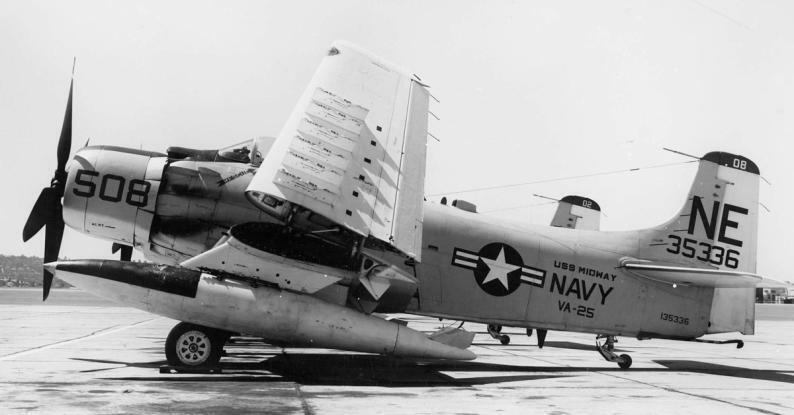 Mar 1945: Squadron aircraft struck Japanese ships in the East China Sea, Inland Sea and around the Ryukyu Islands and land based targets in and around Okinawa. 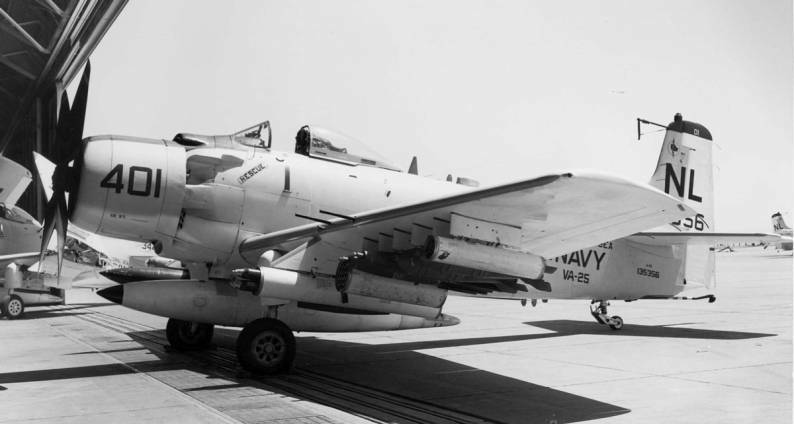 7 Apr 1945: VT-17, along with other units from the task force, attacked a Japanese naval force composed of the superbattleship Yamato and her escorts. 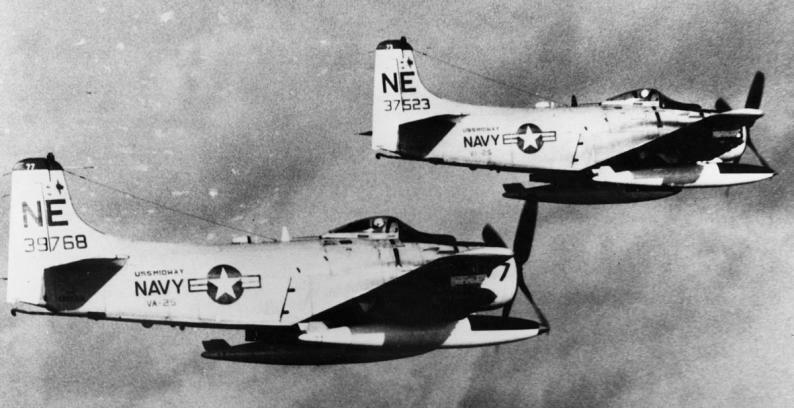 Squadron aircraft scored several torpedo hits on the Yamato and sunk one of her destroyer escorts. 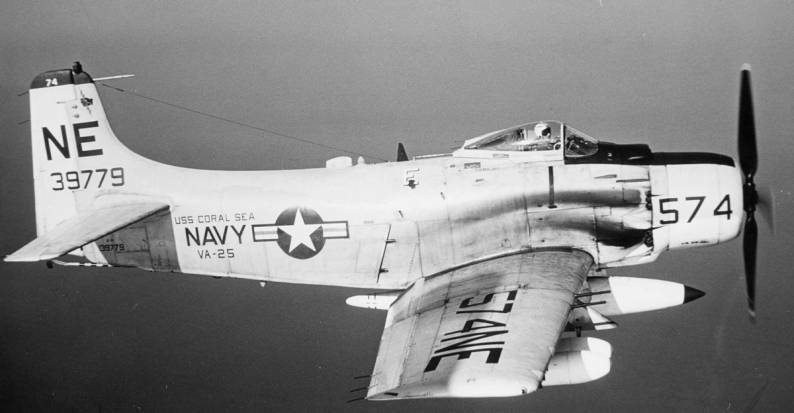 For their actions in this battle the following squadron personnel were awarded the Navy Cross: Lieutenants T. C. Durkin and S. G. Sullivan; Lieutenant (jg) J. F. Monaghan and Ensign W. F. Nickel. 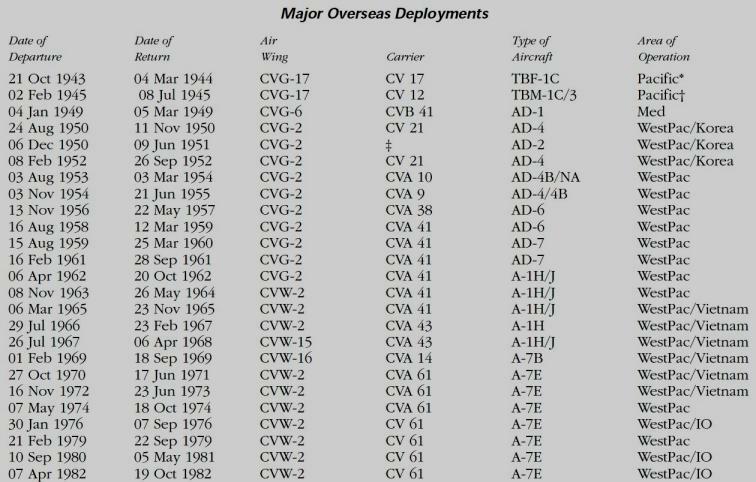 Lieutenant H. E. Clark, Lieutenant (jg) T. J. Coghlan and Ensign R. S. Hanlon were awarded the Silver Star for their actions. 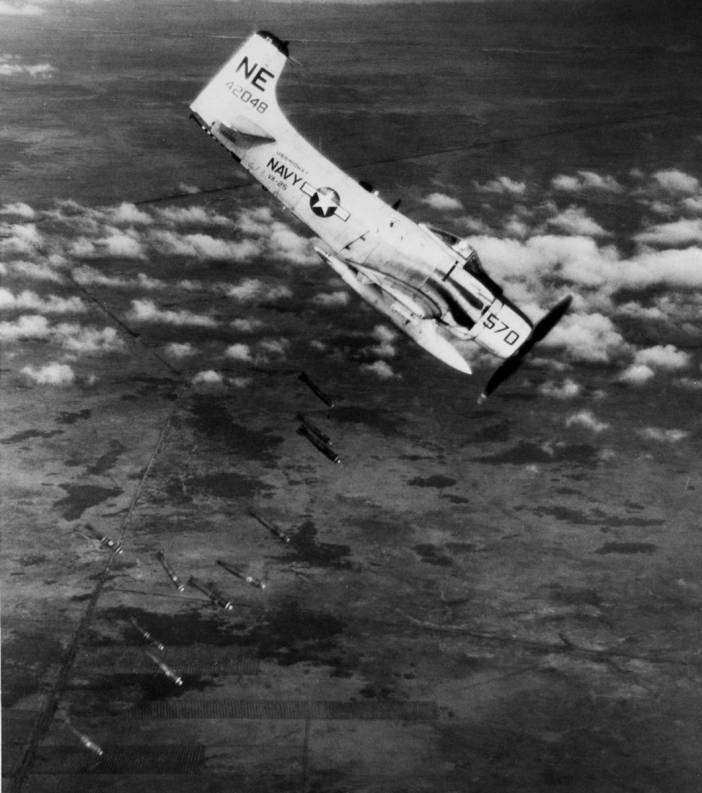 Apr 1945: Combat missions were flown against targets in and around Okinawa in preparation for the invasion of that island. 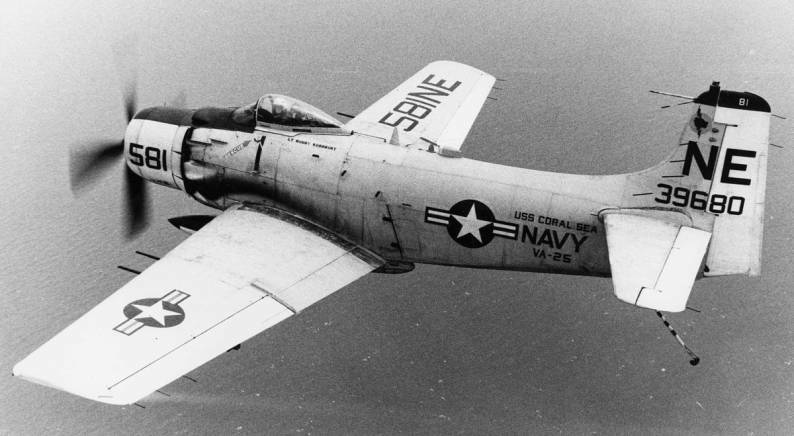 May-Jun 1945: VT-17 aircraft struck targets in and around Okinawa, Kyushu, Shikoku and ships in the East China Sea. 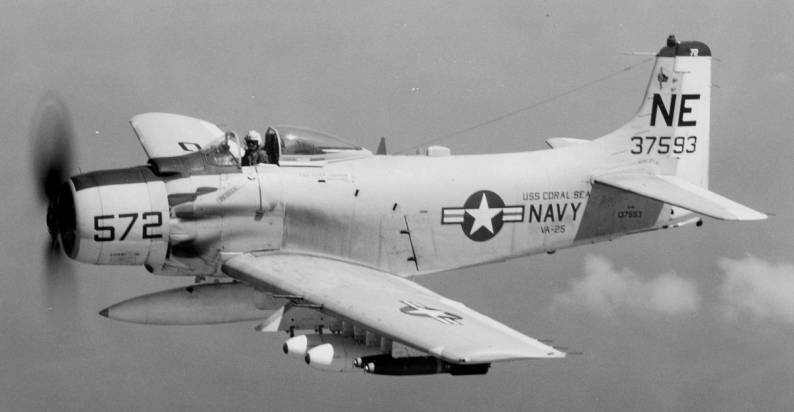 27 Oct-23 Nov 1949: VA-65, embarked in Franklin D. Roosevelt (CVB 42), operated in the Davis Straits area conducting cold weather exercises. 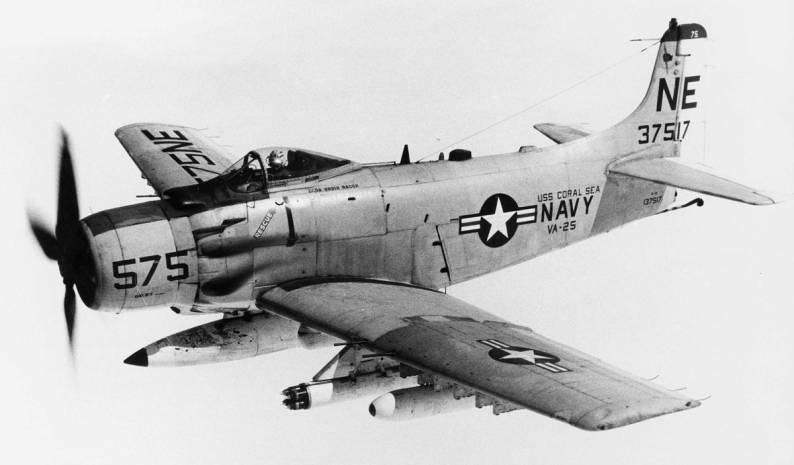 15 Sep 1950: Squadron aircraft participated in combat strikes against shore defenses in and around Inchon, Korea, just before the landings at Inchon. 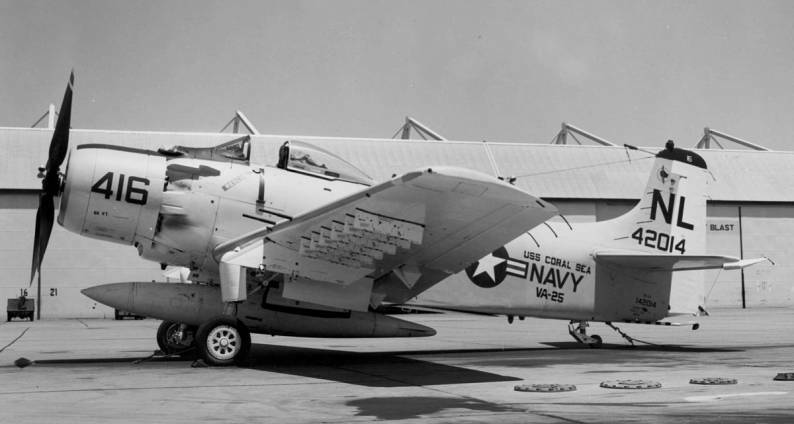 1 Oct 1950: Squadron aircraft struck the North Korean capital of P’yongyang, hitting the airfield and scoring a direct hit on a large electrical power plant. 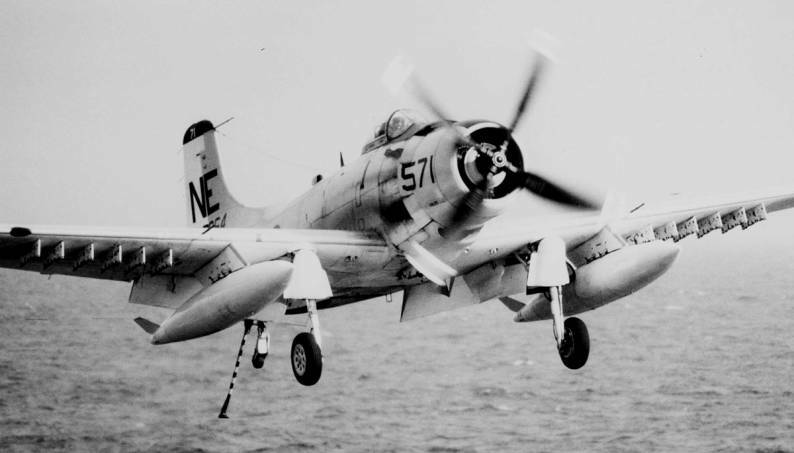 23 Jun 1952: Squadron aircraft participated in a coordinated four carrier strike on North Korean hydroelectric power plants. 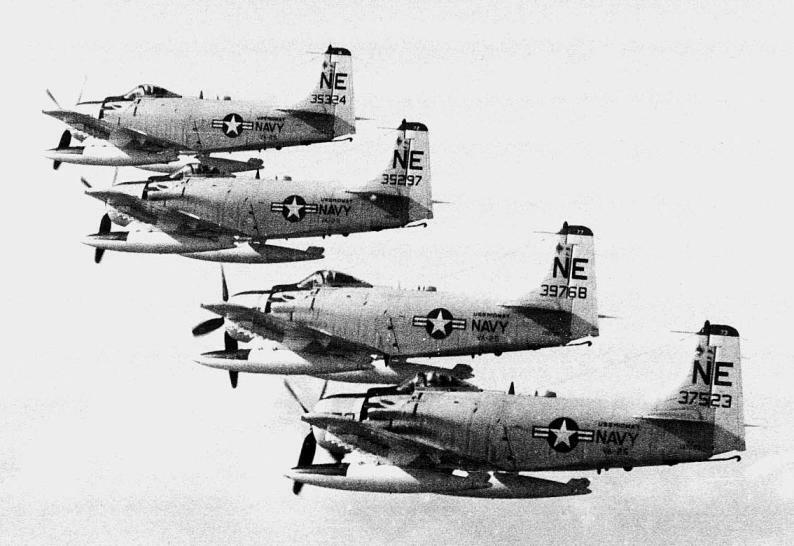 VA-65’s Skyraiders hit the Suiho power plant on the Yalu River. 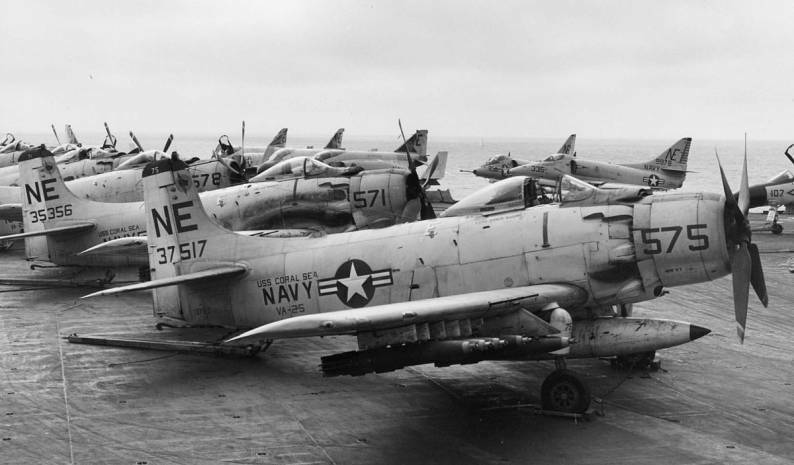 6 Aug 1952: Embarked in Boxer, the squadron was preparing for routine combat operations when a fire broke out on the hangar deck. 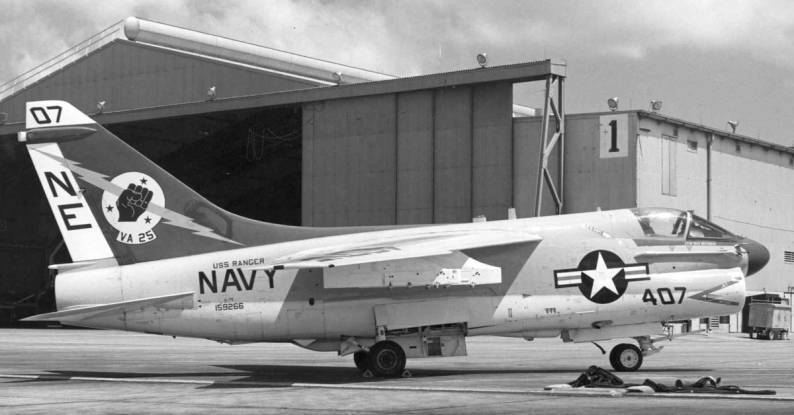 Squadron personnel assisted in removing armed ordnance from planes on the flight deck and helped fight the fire on the hangar deck. 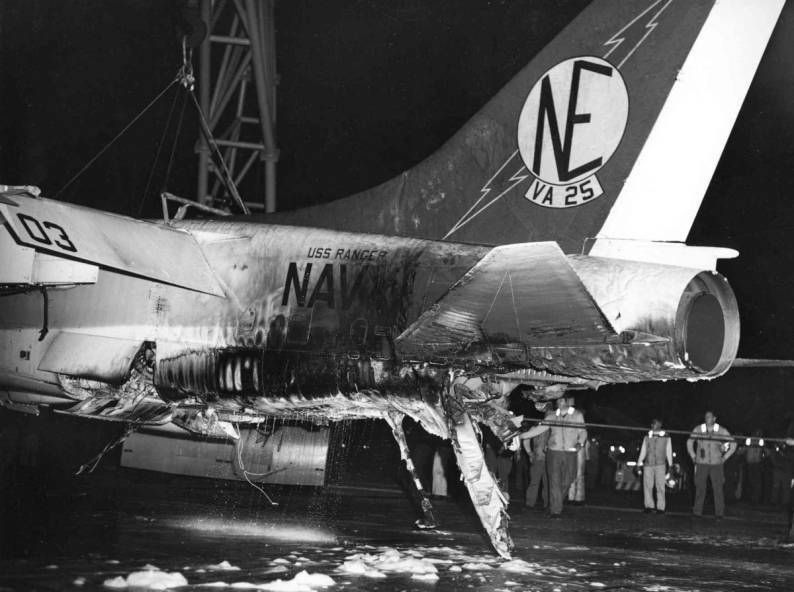 One casualty was suffered by the squadron as a result of the fire. 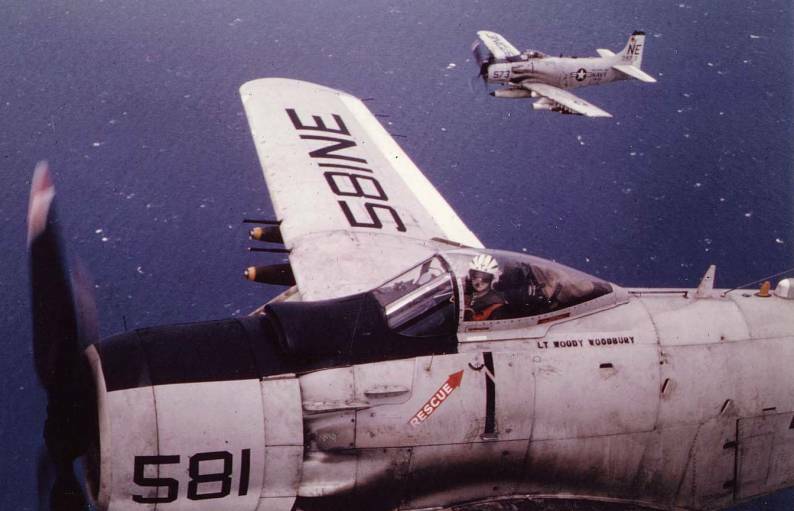 Feb 1955: While embarked in Essex (CVA 9) and operating in the Formosa Straits, the squadron provided air support during the evacuation of Nationalist Chinese forces from the Tachen Islands which had come under bombardment by the People’s Republic of China. 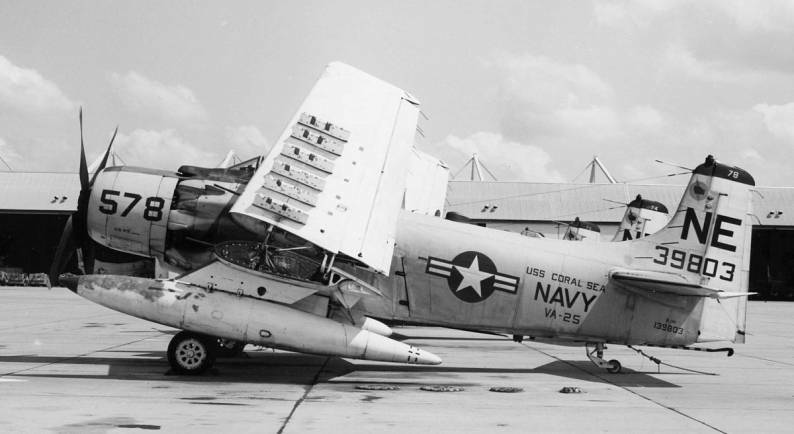 25 Aug 1958: Midway (CVA 41), with VA-65 embarked, was ordered to discontinue its ORI and proceed to the vicinity of Taiwan following the shelling of the Quemoy Islands on 23 August by the Chinese Communists. 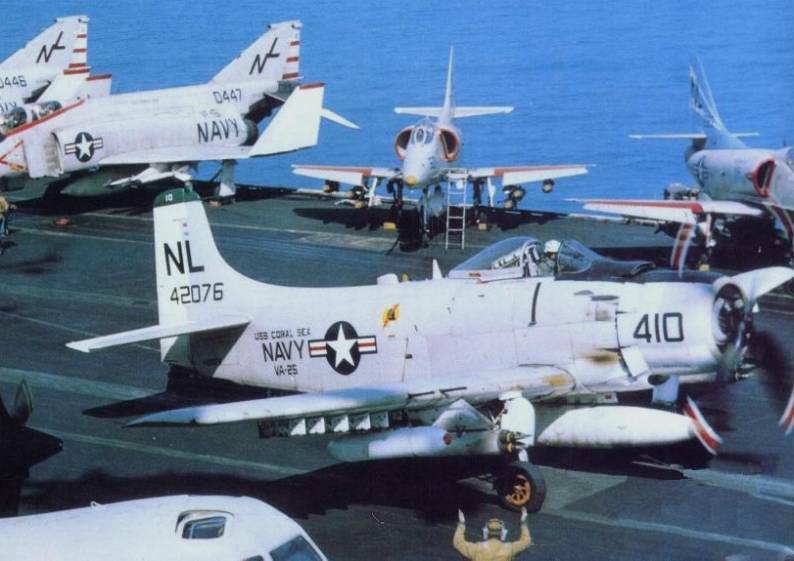 Mar 1961: The squadron, while embarked in Midway, operated in the South China Sea due to the crisis in Laos. 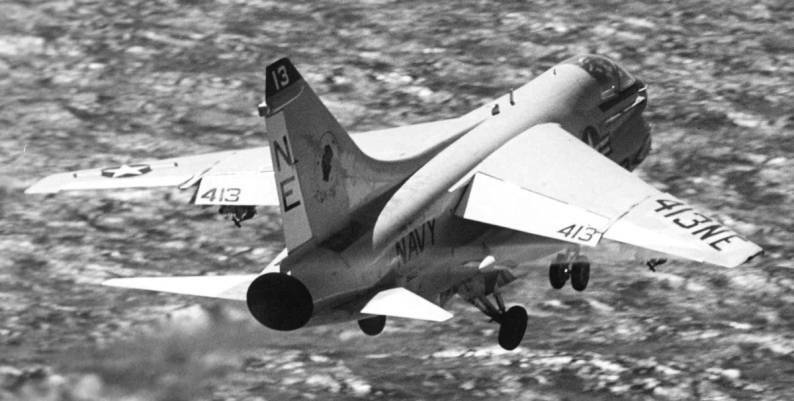 Apr 1965: The squadron engaged in its first combat operations in the Vietnam theater. 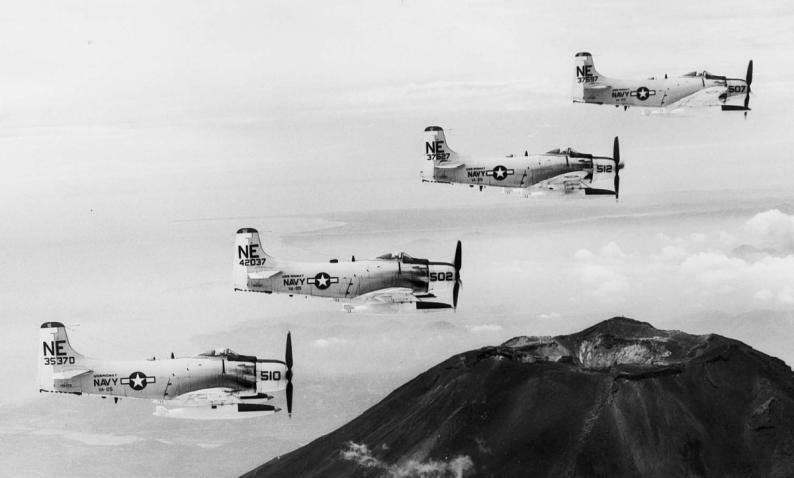 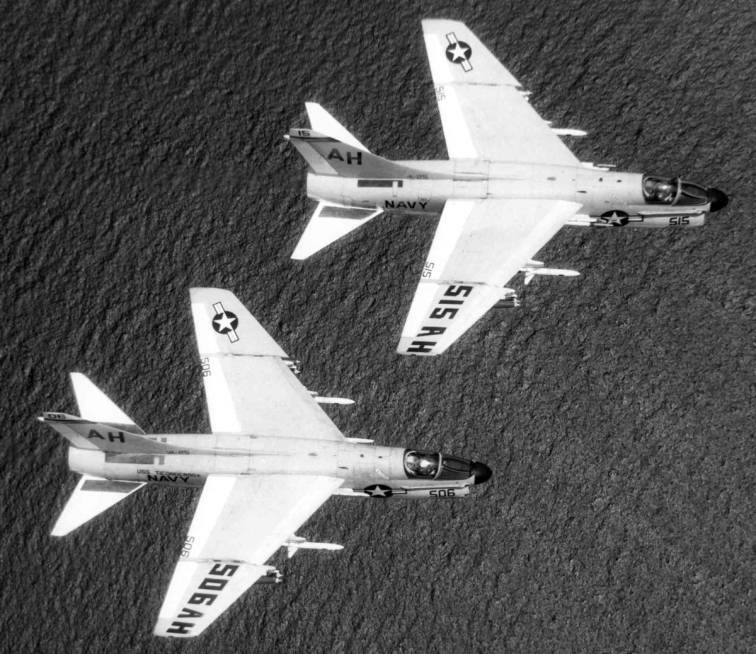 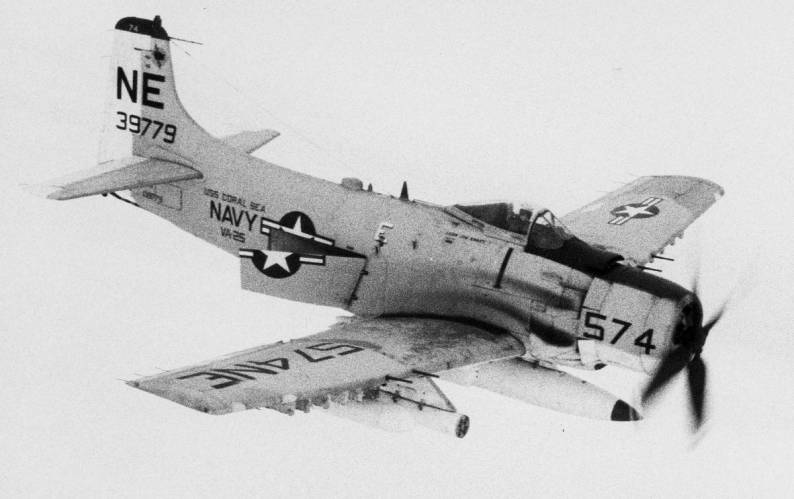 20 Jun 1965: Four of the squadron’s Skyraiders engaged enemy fighters over North Vietnam resulting in the shoot down of a MiG-17. 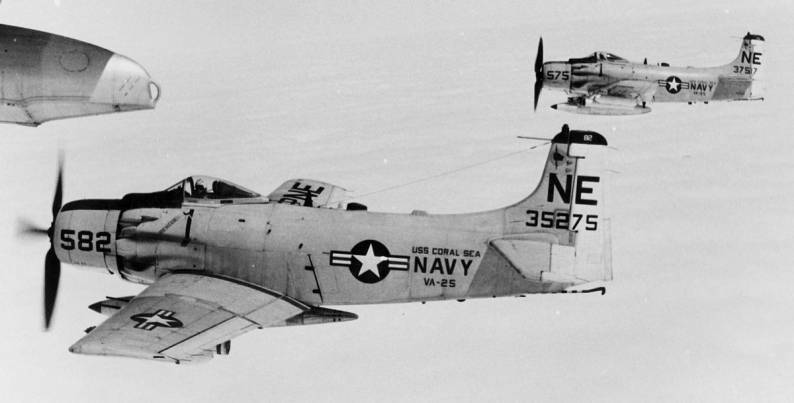 Lieutenant Clinton B. Johnson and Lieutenant (jg) Charles W. Hartman III were awarded Silver Stars for their actions in downing the MiG-17. 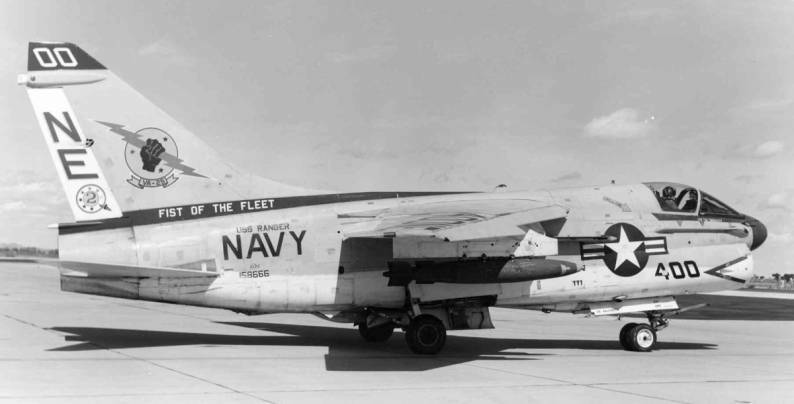 14 Sep 1966: While on a combat sortie near Vinh, North Vietnam, the squadron’s commanding officer, Commander C. W. Stoddard, was shot down by a surface- to-air missile and lost at sea. 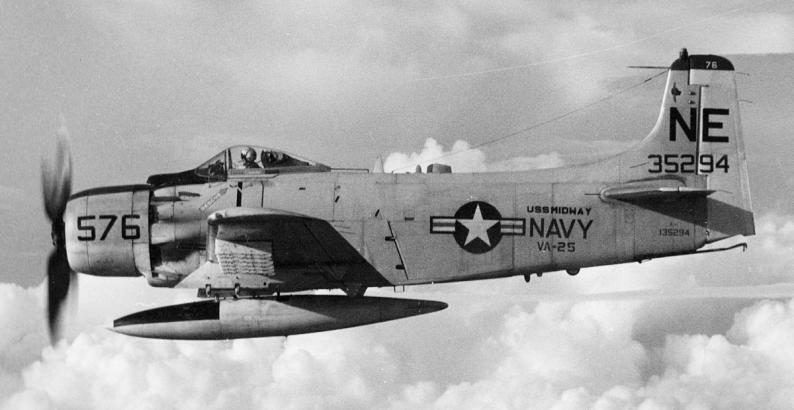 Jan 1968: Squadron aircraft provided close air support for U.S. Marines beseiged at Khe Sanh, South Vietnam. 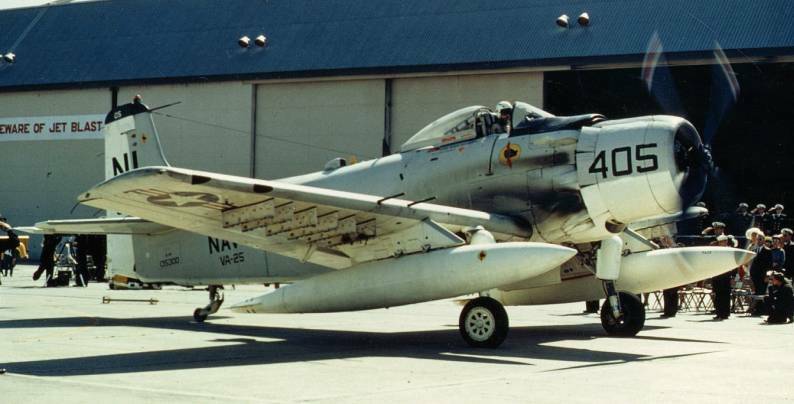 6 Apr 1968: The squadron returned to NAS Lemoore from a combat deployment to Vietnam, bringing to a close an era for the A-1 Skyraider. 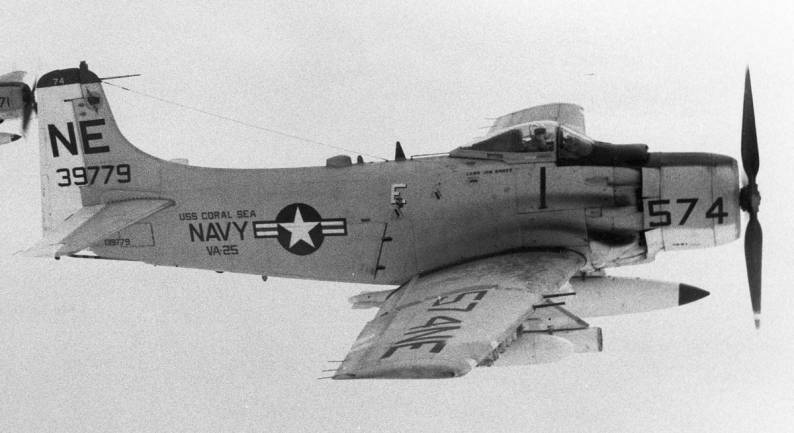 It was the last attack squadron to deploy and operate the A-1. 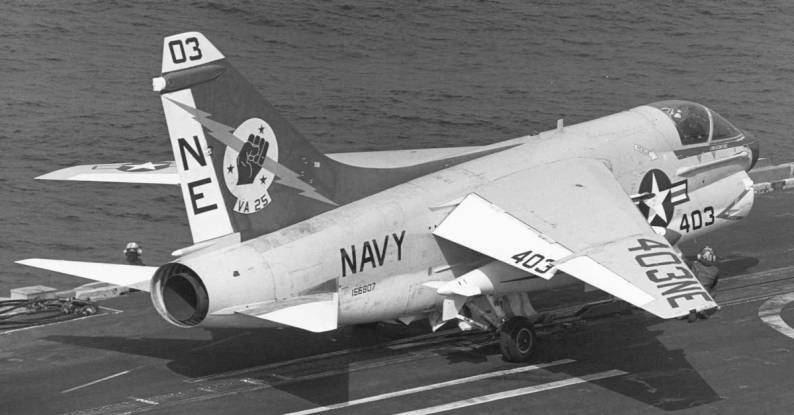 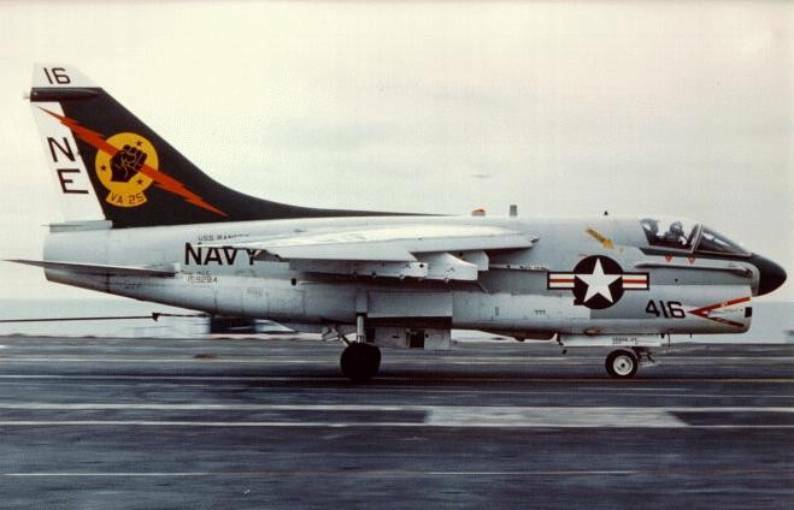 The A- 1’s last combat mission with VA-25 came to an end on 20 February when the aircraft touched down on the deck of Coral Sea (CVA 43). 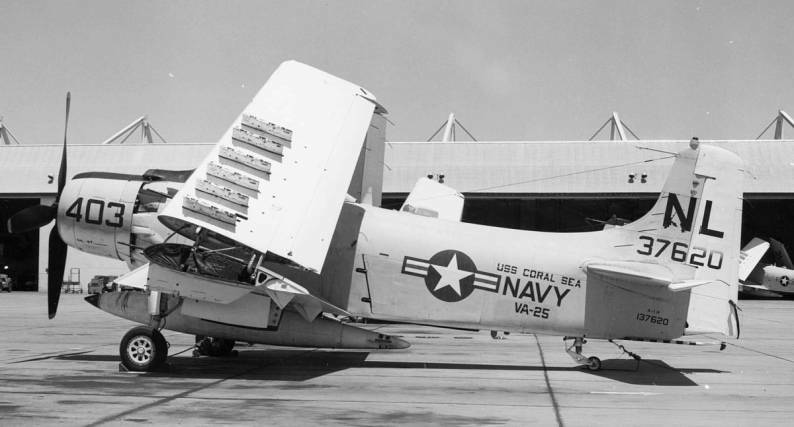 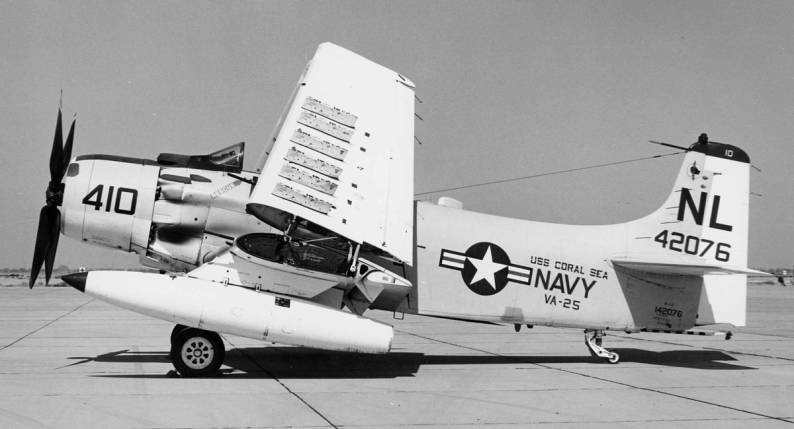 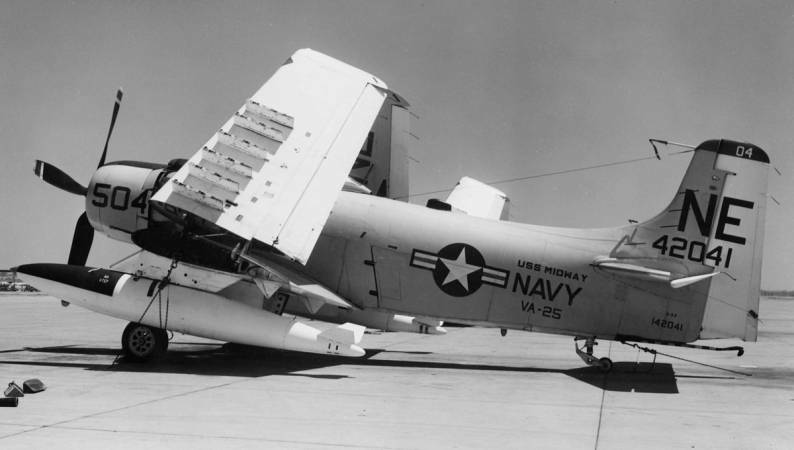 Apr 1969: Following the shoot down of a Navy EC-121 aircraft by the North Koreans, Ticonderoga (CVA 14), with VA-25 embarked, was ordered to the Sea of Japan. 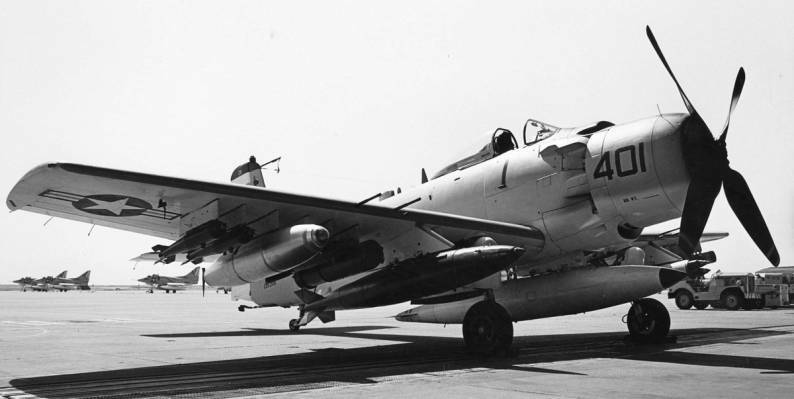 21 Nov 1970: Squadron aircraft flew Rescue Combat Air Patrol sorties while an Army-Air Force search and rescue team landed at the Son Tay POW compound, 20 miles west of Hanoi, in an attempt to free American POWs. 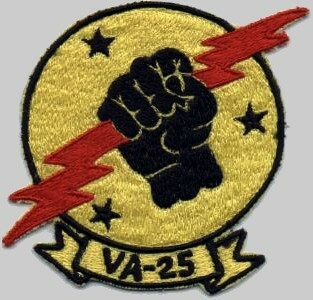 Unfortunately the POW compound had already been evacuated by the North Vietnamese. 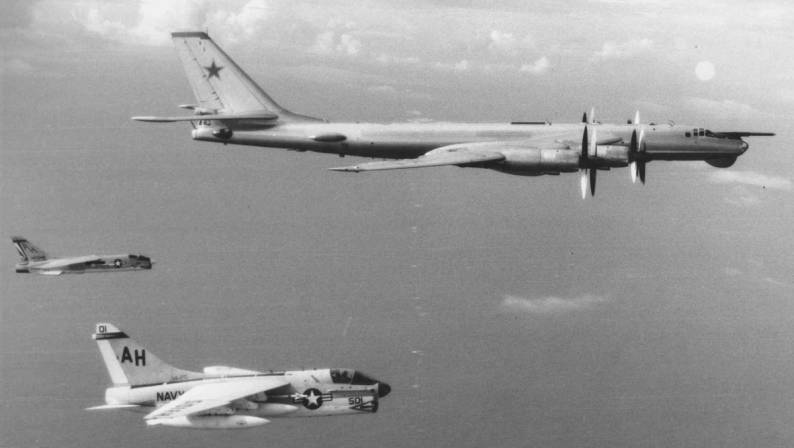 Dec 1972: The squadron participated in Linebacker II Operations, heavy air strikes against targets primarily around Hanoi and Haiphong. 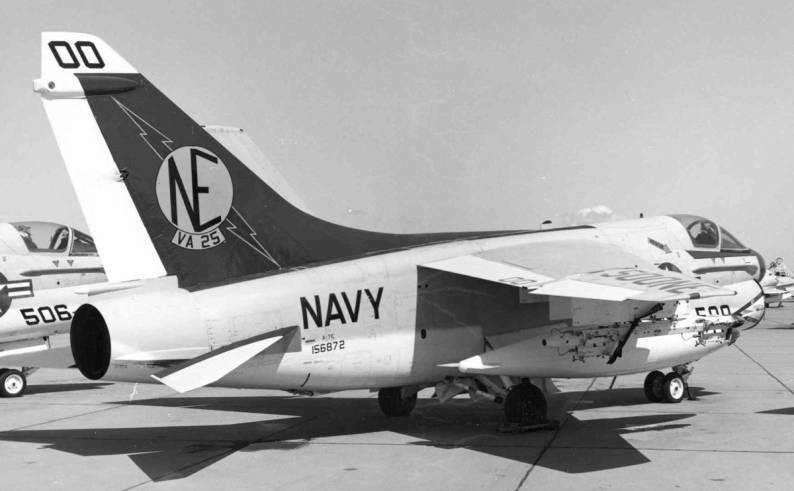 15 Jan 1973: The squadron participated with several other squadrons in a large laser bombing attack against bridge targets in North Vietnam. 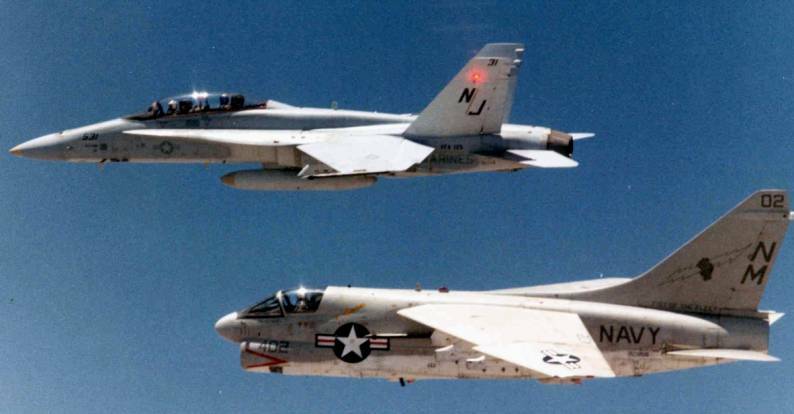 This coordinated strike used the A-6’s Pave Knife Laser Designation System to guide laser-guided bombs dropped by A-7 aircraft. 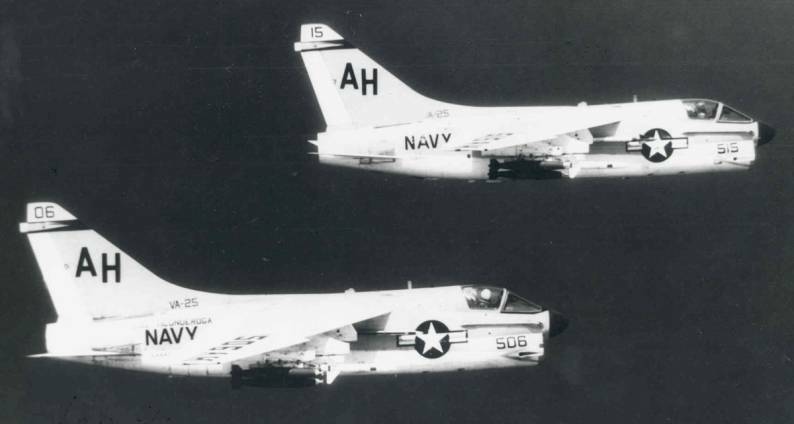 Jan-Feb 1973: Following the cease fire with North Vietnam on 27 January, the squadron concentrated its attention on strikes against lines-of-communication targets in Laos until an agreement was reached with that country. 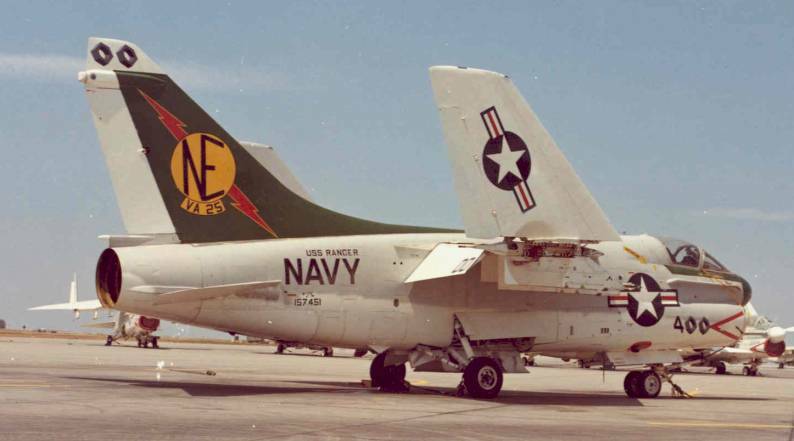 Jul 1976: Following the Israeli raid on Entebbe and the threatened military operations against Kenya by Uganda, the Ranger (CV 61), with VA-25 embarked, was ordered to transit from the South China Sea to the western Indian Ocean and operate off the coast of Kenya. 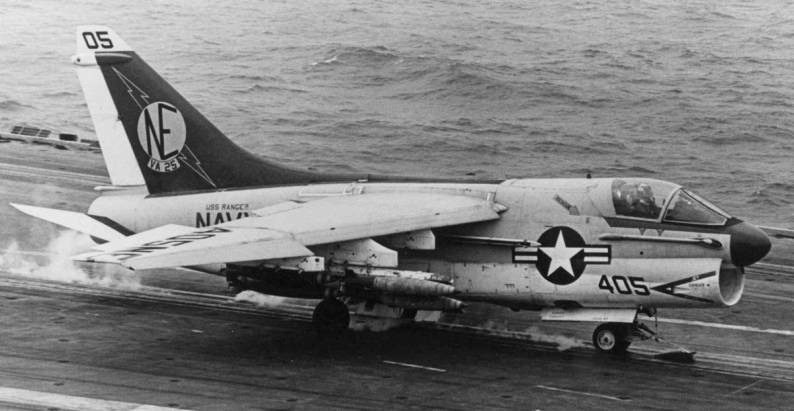 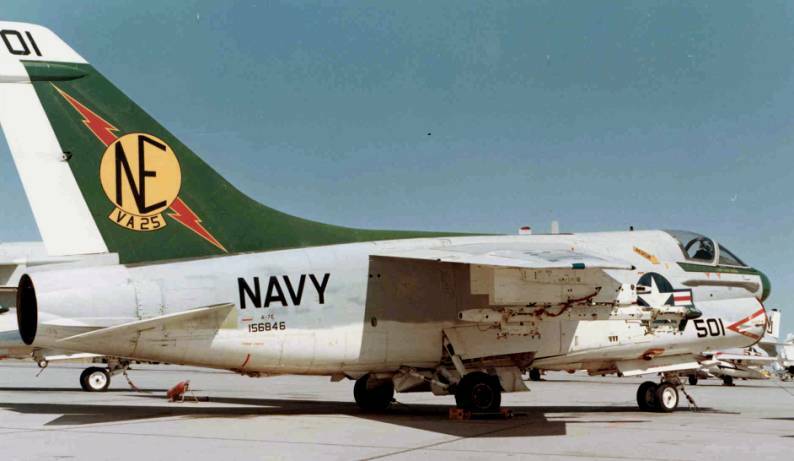 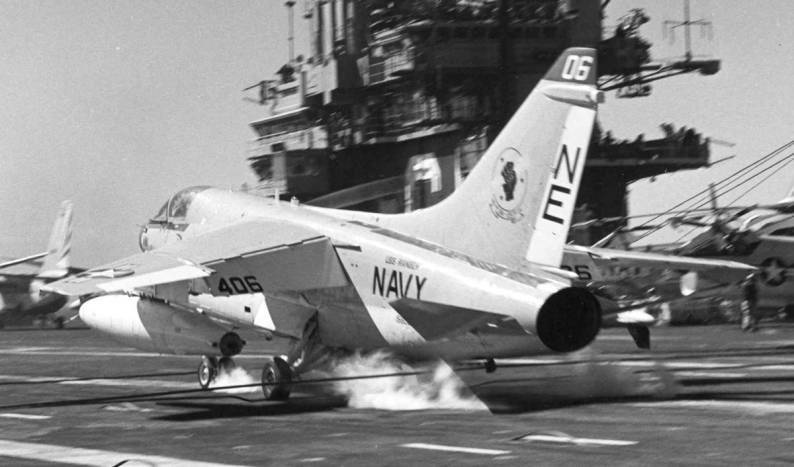 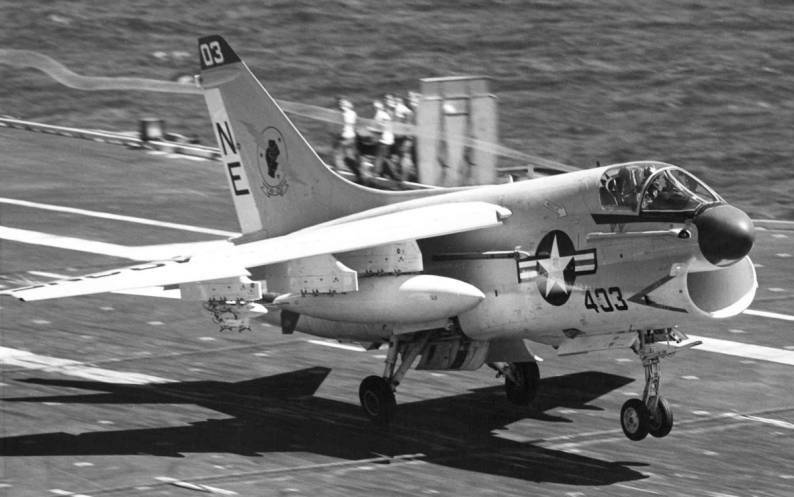 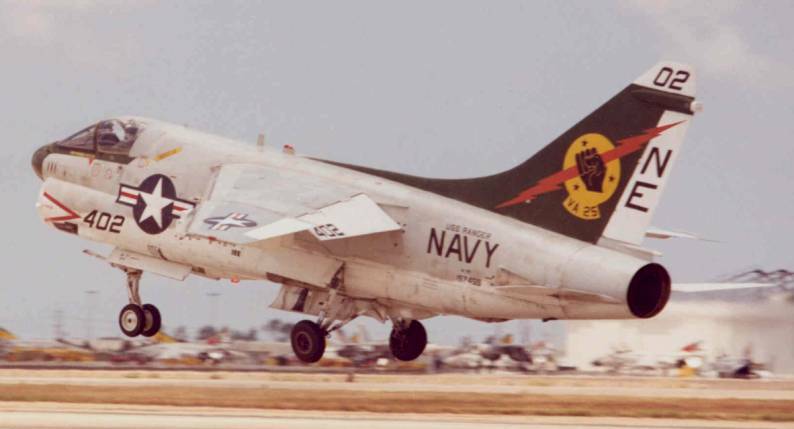 1980: VA-25 was on station in the Indian Ocean during the Iran hostage crisis. 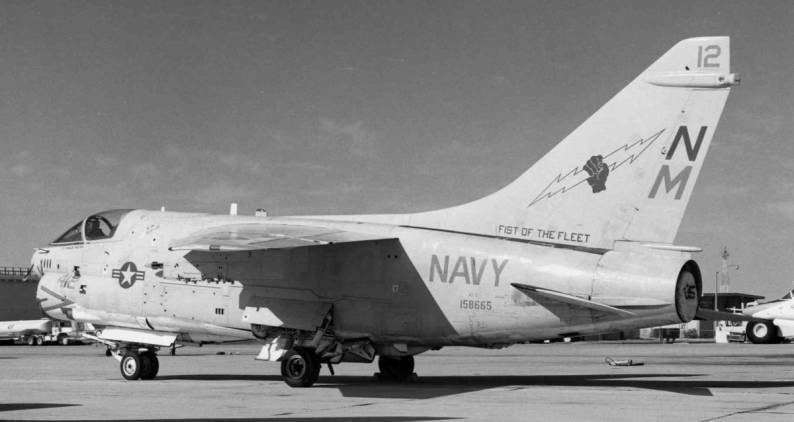 In May 1983, the Fists began training in the then-new F/A-18A Hornet. 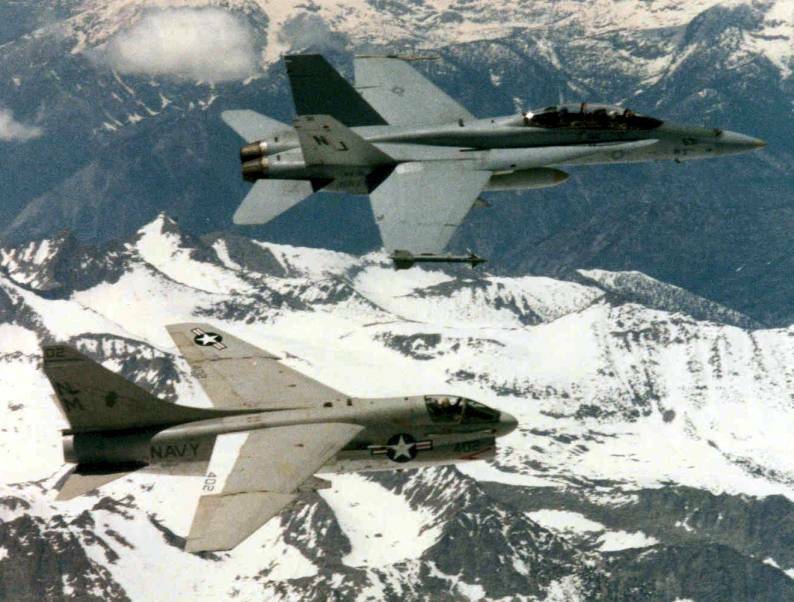 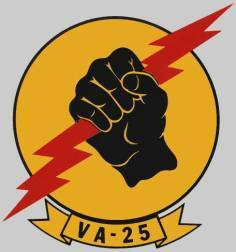 The squadron was redesignated as Strike Fighter Squadron 25 (VFA-25) on July 1, 1983.